This is our new “in wall” mixed reef aquarium. 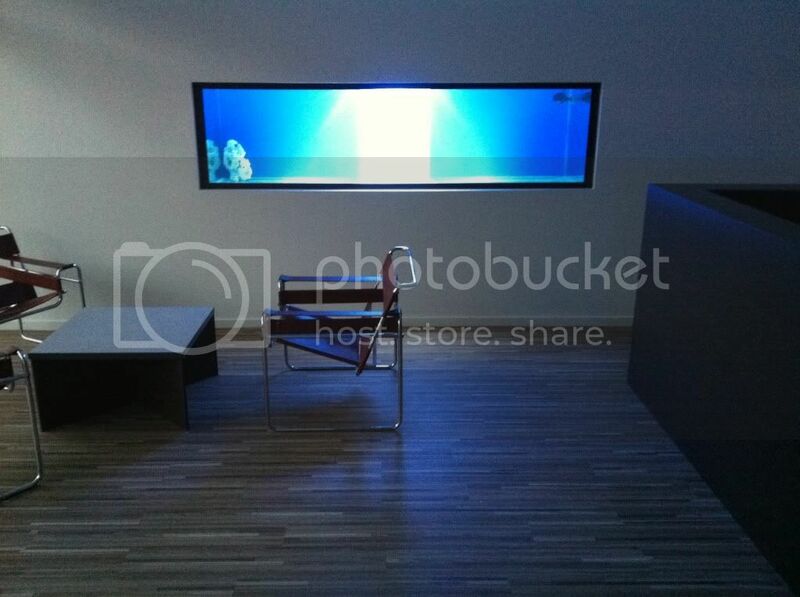 The tank is located in our new warehouse in the reception. The size is 8 x 2.5 x 2.5 feet and with the Ecosystem 4822 Pro Acrylic sump should be around the 1500 ltr mark.